The Institute of Bio-Sensing Technology (IBST), based at the University of the West of England, Bristol, works with industry and researchers with the aim of creating multidisciplinary partnerships to develop novel bio-sensing technology. The scope of the Institute is broad - ranging from the development of novel technology for detection and measurement of biological systems to the integration of biological systems into novel sensing technology. 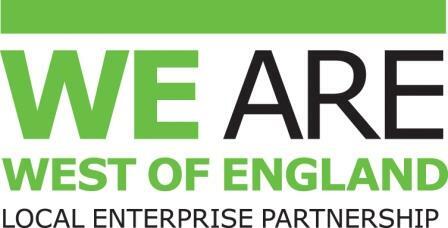 By consolidating talents and experience from across a range of subject areas we are able to respond to larger challenges presented by industry and public sector. 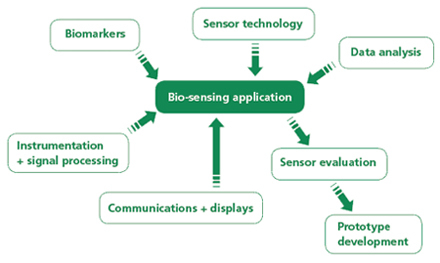 This breath of discipline areas that contribute to the development of a bio-sensing system is shown in the diagram below.